Socio Multi Vendor Plugin is a WooCommerce Extension Plugin which turns your WooCommerce Site into a Multi Vendor Site. In addition to selling your Products on your site, you can add the Multi Vendor ability to your site so that other vendors can sell their products on your site for a commission. 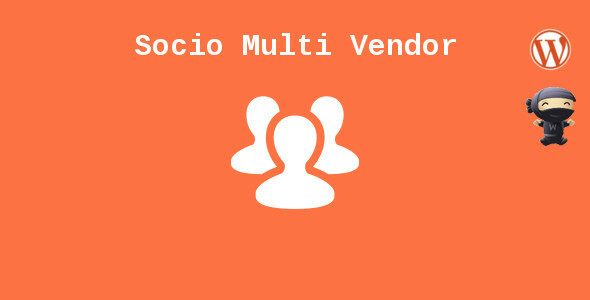 Socio Multi Vendor gives site admin the ability to create vendors in the backend. The site admin can add vendor, edit vendor, set commission rate for vendor and associate existing or new products to the vendors. Socio Multi Vendor Plugin works for All Default Product Types of WooCommerce and is Translate Ready. All Payments will be received by the site admin and then the Vendor Commissions will be paid to the Vendors manually by the site admin. Hence any Payment Gateway that works with WooCommerce should be fine.